My good friend Lisa Ashley hosts a ladies-only get-together every year. She calls it the MMM party - which stands for Mammograms, Martinis (or mimosas) and Massages. Let's make mammograms fun, right? It started out with four women, and Ten Years Later, it’s grown to 40+ women. 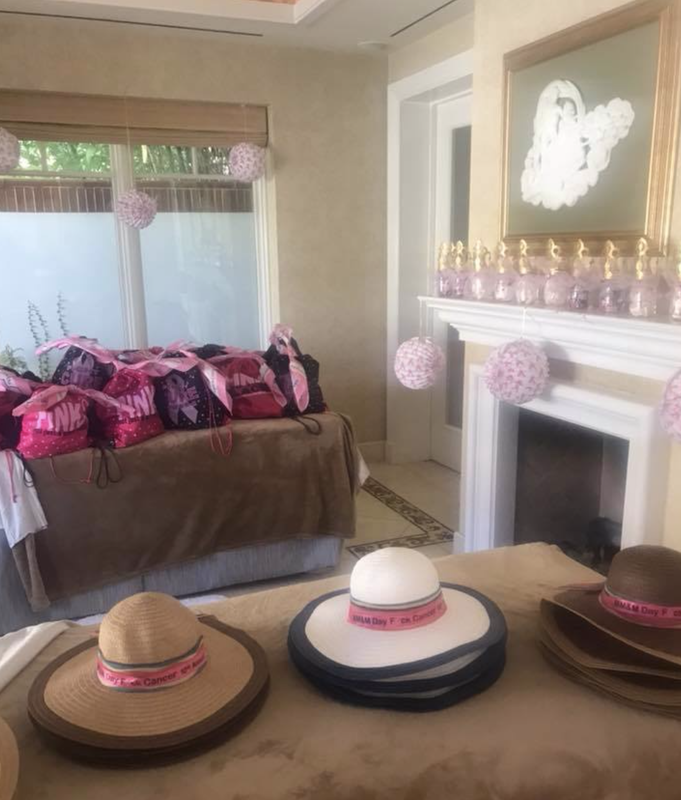 We host it at the Four Seasons Westlake where they have an imaging center attached so it’s a one-stop shop for the most important things in a girl's life! I didn’t go last year - so this year Lisa Ashley was adamant that I went - I tried to convince her I went this year for my mammogram and she did not buy it. So after her pushing and pushing and long convincing, I walked in with six bottles of Veuve Clicquot champagne and made my girls the French 75 (which is Kate Moss's favorite cocktail). You add in fresh squeezed lemons, sugar and Cointreau to the Veuve and it's just incredible - THAT IS MY ROLE and I take it very seriously! I went in that day like no other day. Not a worry in my mind! I was up for the mammogram, I did the damn thing and the nurse looked concerned. I got there first thing at 7:30 on a Friday morning, it was October 29th. I was making the first batch of French 75’s and I had the first appointment of all the girls at 8 a.m. I went for my mammogram and I spoke to the technician, the woman who was doing the screening (she was Russian and very nice). Did my mammogram, went back to the spa that we rented for the day and I proceeded to make more French 75s - as one does, right? At this point more women were rolling in and I got called back and I was joking with the girls in this business when we get a call back it's a good thing right hahaha. So I kept saying don’t be jealous girls, but I got a call back and you didn’t. Leave comments below on how to host your own MMM party! I highly recommend it! Early detection and prevention is key!